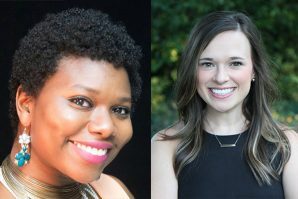 LEXINGTON, Ky., August 2, 2017- Fayette Alliance, a sustainable growth, land use advocacy group, announced today the hiring of Ashley C. Smith as Director of Education and Governmental Affairs and Madeline Vied as Director of Communications, reporting directly to Executive Director Susan Speckert. Ashley C. Smith will lead the Fayette Alliance’s efforts in educating and supporting key stakeholders within its pillars of advocacy. Prior to joining Fayette Alliance, Smith worked for KentuckyOne Health, Bluegrass Hospitality Group, Community Ventures, NetGain Technologies, Smiley Pete Publishing and, most recently, The Lyric Theatre & Cultural Arts Center. Smith is an active member of the Ethical Redevelopment Salon, Kentucky State University President’s Advisory Board, crave food + music festival Management Team, and the Steering Committee for the Kentucky Rural Urban Exchange. As Director of Communications, Madeline Vied will set, guide and implement strategy for all Fayette Alliance communications, public relations, and website content. Vied has worked in non-profit and association management for more than nine years, including work in customer service, public relations, event marketing, branding, content marketing, and awards management across the travel, technology and media industries. Prior to joining the Fayette Alliance, Madeline served as PR and Marketing Manager for the Alliance for Women in Media, a national organization committed to connecting, recognizing and inspiring women across the media industry. In addition, Madeline led PR and marketing for the Gracie Awards, an annual bi-coastal event celebrating individual achievement and outstanding programming by, for and about women in TV, radio and interactive media.